It's been 3 days since Fol Rana (aka Fulgencio Rana Jr.) was laid to rest. He has a day job as a banker (a Vice President to be exact) but he didn't stop from there. His passion in photography led him to have his own photography/video company. That's where I've known him. In the wedding industry, his name is one of the many photographers and videographers you'll come across with. While I was busy preparing my wedding way back in 2006, I've been hearing a lot of good reviews of Fol Rana. If I'm not mistaken, on that year he launched Moving Pictures which meant an onsite wedding video. Today it goes by the name of Same Edit Video. This is where highlights of the wedding preparation, wedding ceremony and reception are shown on video for the couples and guests. During that time, having an onsite wedding video of our own is a nice to have. Obviously, we can't afford getting one so I already set my mind that we won't be having one. But came W@W Auction 2006 where wedding suppliers will auction their services for the couples. All you have to do is bid and may the best bidder win. Good thing I was working at night so I was patiently waiting to make a strike and bid. 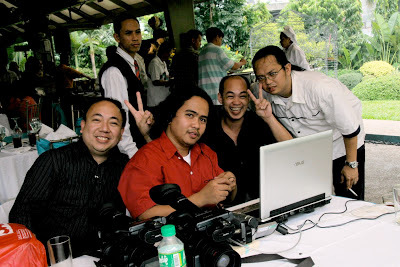 I won three items back then - (1) Prenup service from Jun Valbuena that costs me Php 1500 or 2k; (2) Photo AVP by Richel Mascarinas which costs me Php 1250 or Php 1500; and lastly (3) Onsite Wedding Video by Moving Pictures which costs me Php 750. Yes! It's only Php 750! The best deal that I got from W@W Auction. I was ecstatic and couldn't stop thanking Ms. Benz and of course Sir Fol. Imagine he gave a GO signal to grant me the onsite video for a fraction of its cost. FYI, onsite video by Moving Pictures back then is worth Php 15,000. I was hoping that the Moving Pictures team will select an alternative music and they did! 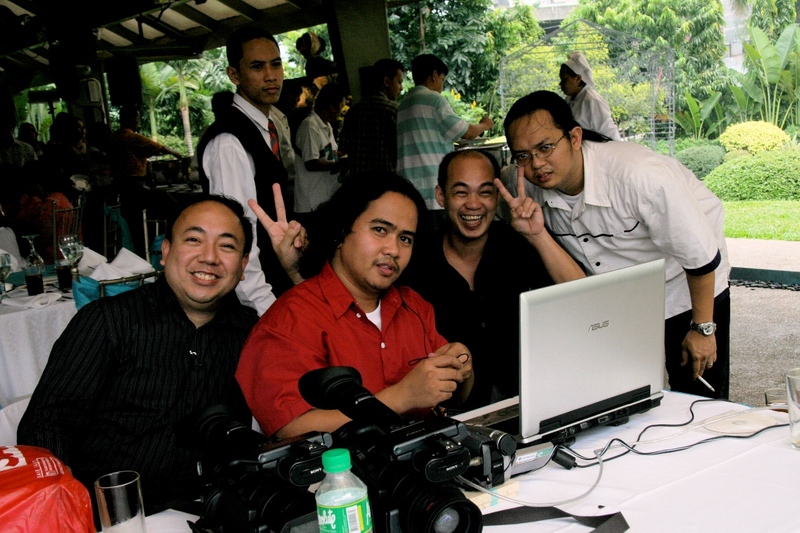 After our wedding I remember giving my utmost thanks to Sir Fol for a job well done on our onsite wedding video. Though it's only Php 750, he treated me as his full client that deserves to have a quality output of his services. I'll be forever grateful for this Sir Fol and it's nice to have a piece of you with us to remember you as a photographer/ videographer who takes art into the next level (he is one of the photographers who started the Boudoir concept). Have a safe journey Sir! You have lived life to the fullest like the rest of us should. a big loss to the wedding industry. RIP sir!